The refreshing experience which the swimming pool provides to the swimmers, gives out a very memorable peace and harmony. It not only rejuvenates the pleasure but also is a very happening experience inside the pool. With the coming of summers the cleaning of the pool has also started by the pool owners, especially those who are looking for the pool parties in the hot scorching heat with their family and friends. To make your pool look pretty and cool, you need to clean pool tile as they offer a pleasing look to the eyes of the onlookers. 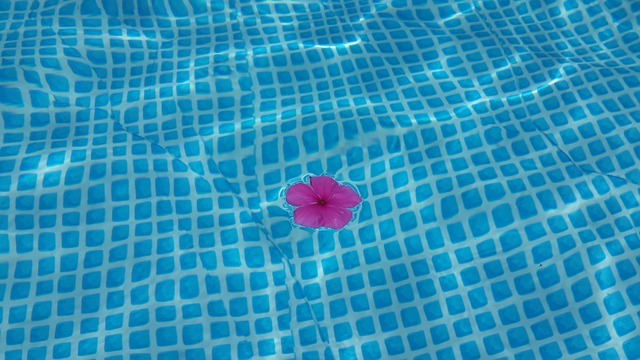 Apart from it, a clean pool tile provides the healthy environment within the swimming pool. The black tarnish look that often develops due to calcium on the tile also makes the tile look very feeble. The calcium on the tile is build up due to the hard water or high calcium which is often found out on the tiles of the pool. The professional pool cleaning services will check the calcium and TDS levels that are present inside the pool tile. Calcium Buildup on tiles is one of the most common problems which is faced by the pool owners in the current scenario. As soon as the pool owners foresee the calcium, they tend to start scrubbing the pool tiles with the help of the scrubbers, cleaners or with the help of the pumice stones. Though pumice stones at times offer the great facility of cleaning and are considered to be the best pool tile cleaner, it often tends to make the tiles crumble or look very old in fashion. The lifecycle of the tiles too gets hampered and it starts breaking after some years of constant use. Therefore, if one is using a pumice stone then going for a soft pumice stone is the most sought after option that the pool cleaners should be considering for their pools. The best thing to make the cleaning of the tile goes well is that of seeking the professional help to carry out the process in an easy and subtle way. In this method, with the fine and perfectly chipped glass beads the calcium, oil and another dirt from the tiles are removed in a very appropriate manner. These kinds of glass bead blasting are generally used on the pebble tec swimming pools. One can easily clean the glass beads once the pool tile cleaning is finished in the most professional manner. One can easily clean all the tiles that are placed on the deck as well as the pool. Though the method is very easy and convenient, what has to be kept in mind is that if proper glass beads are not selected then they can destroy the tiles. Therefore always a professional should be hired for the cleaning of the tiles. A professional will select what type of bead is required to clean the pool. Another thing is the amount of pressure that has to be put upon the tile so that it does not get damaged. Only a professional has the right knowledge of using the right amount of pressure over the tile so that it is not hampered. It also removes the harmful stains from the pool. Another natural way of cleaning the pool tile is that with the natural salt. The salt is shot at a very low pressure as soon as it hits the surface of the pool. The pressure also helps in removing the extra calcium from the pool. It eliminates all kinds of oil, dirt as well as tarnish that is present inside the pool surface. The best pools where this kind of method will act superbly we are those that are made up of ceramic tiles, sandstone and other tiles like that of Pebble Tec and are very effective. The method is not only natural but biodegradable with a neutral pH which is considered to be as one of the safest methods to give the shine to the tiles as well as impart polishing to the pool. Quite similar to the glass bead blasting, the soda blasting uses the salt of sodium bicarbonate, commonly known as Baking Soda. It can be used on the pools that are made up of stone, ceramic as well as Pebble Tec. The pH level is slightly more than the natural method inside the pool. The alkalinity levels at timers do tend to go up from the larger pools. The soda helps you to go with the most reliable option. Apart from the calcium buildup, the water stains too create a lot of problems that can give a discoloring to your pool. To remove these stains from the tiles you need to use the muriatic acid on the tiles that act as a very good cleansing agent for the tiles. There is a proper method to clean the tiles from the pool and remove all the dirt as well as harmful stains from the pool. Through mixing proper ratio of muriatic acid as well as water you can remove the stains in the proper manner. Therefore, though it is very easy to clean the tiles with the help of the pool cleaning equipment, you need to keep in mind a lot of things that has to be kept in mind while choosing the right method for both to remove calcium from pool tile as well as to eliminate the water and other kind of stains from the tiles. If you are the beginner or a starter and is having the small budget then you can also go for an option of using some of the equipment from your home like the use of vinegar as well as toothpaste too adds a lot of glitter and glow to your pool tiles. You can also go for the DIY options to clean the pool.